With over 20 Million albums sold worldwide, Live has become one of the most successful and enduring alternative rock bands of the last twenty years. Kowalczyk will be performing songs from the entire Live catalog (“I Alone”, “Lightning Crashes”, “Heaven”) and songs from his solo album, Alive, in this intimate and acoustic performance. 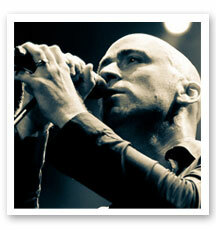 Kowalczyk has built an impressive résumé that includes eight full-length albums with his Live bandmates that have reached gold and platinum status in 9 countries, and nine Top 10 radio hits such as “Lightning Crashes”, “I Alone”, “Selling The Drama” and “Heaven”, and his first solo album in 2012, Alive, which spawned the hit single “Grace”. Kowalczyk is excited to be sharing this new look at some of the biggest hits of his career in this dynamic and unique unplugged performance.